I was offered a three-month sample of GOPO Joint Health tablets to review. There comes a time in your life when you suddenly realise that you are not as young as you first were. Maybe it’s a few grey hairs, maybe it’s the menopause and all the joy that brings, or maybe it’s noticing that your children’s reaction time is much faster than yours, and the lightning-fast reflexes you always prided yourself on are not quite as you imagine. Another thing that my husband and I have wistfully noticed, especially over the coldness of Winter, is that our joints are starting to creak a bit. He has a bad knee, damaged when he used to play football as a young man, and with two surgeries on it already. Now the doctors say he has the begnnings of osteoarthritis, and there is not much they can do for him. I seem to be following in my mother’s footsteps. I remember her getting hip pain in her early 50s (although I can’t believe I am actually that old!) and she went on to have three hip replacements, starting when she was 60, and was scheduled for a fourth. So, I know what my little groin niggles are all about, and while I am not formally diagnosed with anything yet, I’m fairly certain I know where this will go if I don’t start looking after myself very soon. 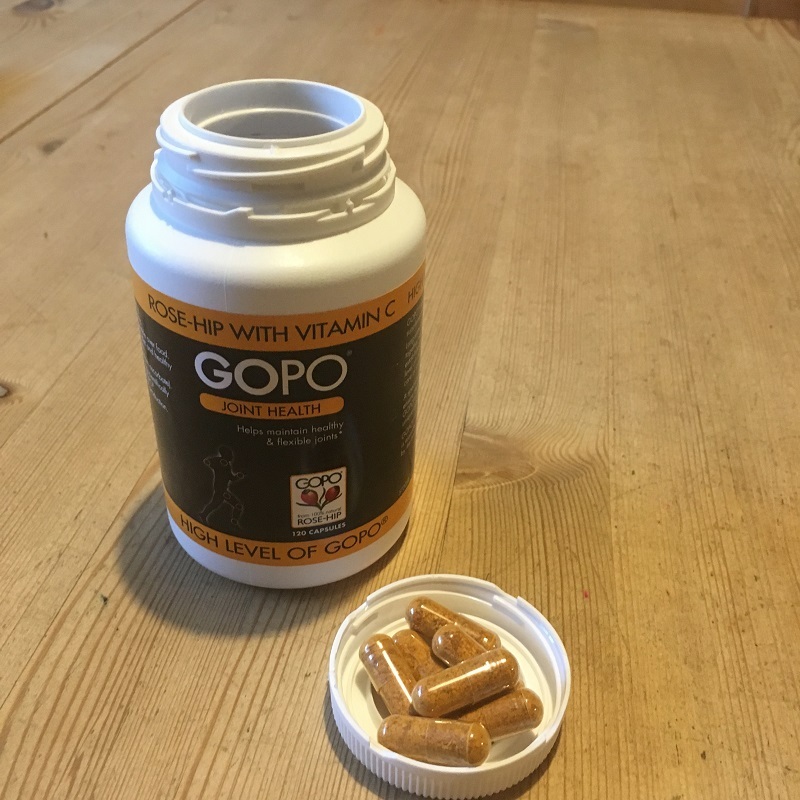 When the nice people from GOPO contacted me and asked if I would like to try GOPO joint health capsules, I had to reluctantly agree that my husband and I are the perfect case studies for this product. 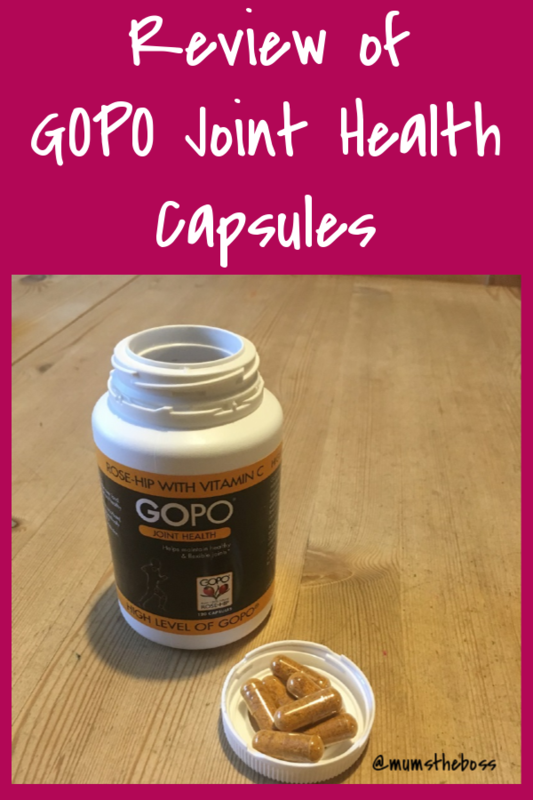 GOPO joint health is a food supplement, which combines Scandinavian rosehip with vitamin C, which may play a valuable role in the care of joints and joint tissues, particularly cartilage. Rose-hips are best known as one of the richest plant sources of Vitamin C. During world war ll when there was a shortage of citrus fruits in the UK the British government organised the harvesting of as many rose-hips as possible as a substitute source of Vitamin C. This led to a generation of children growing up with a daily spoonful of rose-hip syrup. 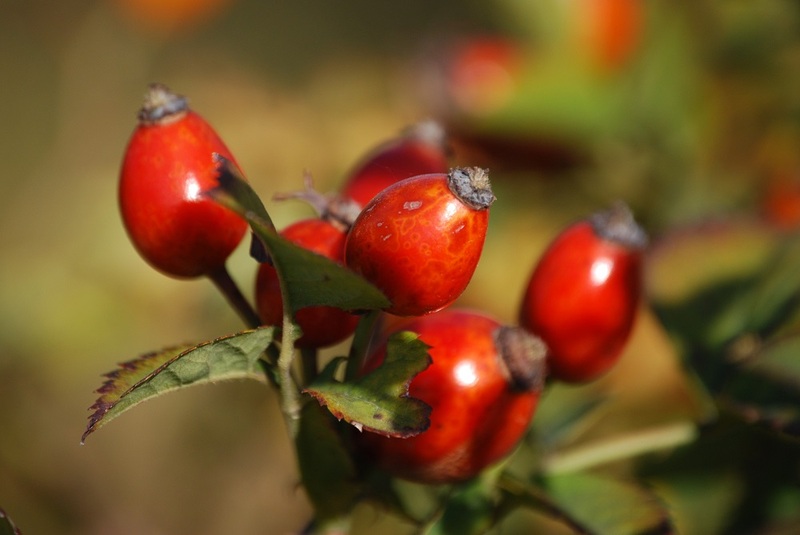 Apart from Vitamin C, rose-hips also contain other vitamins, pectin, tannins, flavonoids, carotenoids, and galactolipids. Galactolipids are found in cell membranes and have formed the basis of a number of different studies. One particular galactolipid “GOPO” is of particular interest and has been subject of considerable research. Studies have shown that due to its anti-inflammatory properties, GOPO® is more effective at reducing pain and improving mobility than other supplements for joint pain, such as glucosamine. 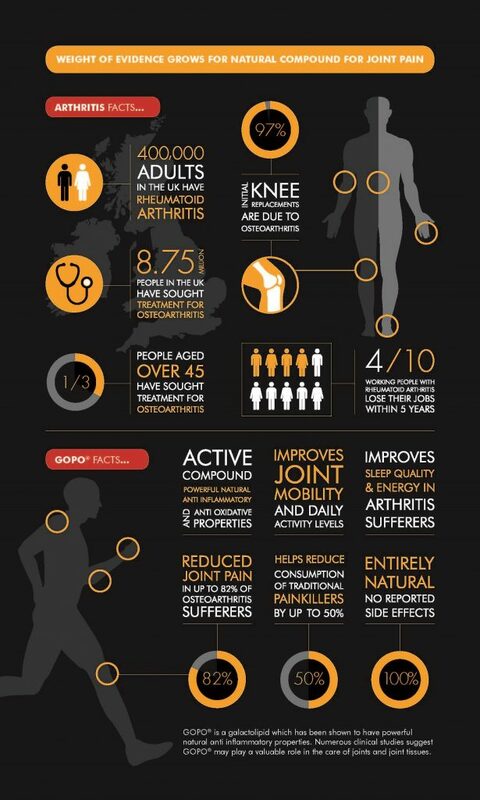 So how can you look after your joints naturally? According to Consultant Rheumatologist Dr. Rod Hughes, there are simple steps that can be taken to help protect the joints, reduce joint inflammation and ease joint pain. These steps may also help minimise long-term damage and impacts of ageing on the joints – which can include pain, stiffness and even the development of osteoarthritis. Many people with osteoarthritis take paracetamol for their joint pain which is largely ineffective and has a number of side-effects when taken long term. Instead you could try an option such as the galactolipid GOPO® which is derived from rose-hip (Rosa canina) and has been shown in clinical trials to significantly reduce arthritis joint pain and reduce consumption of paracetamol by 40%. 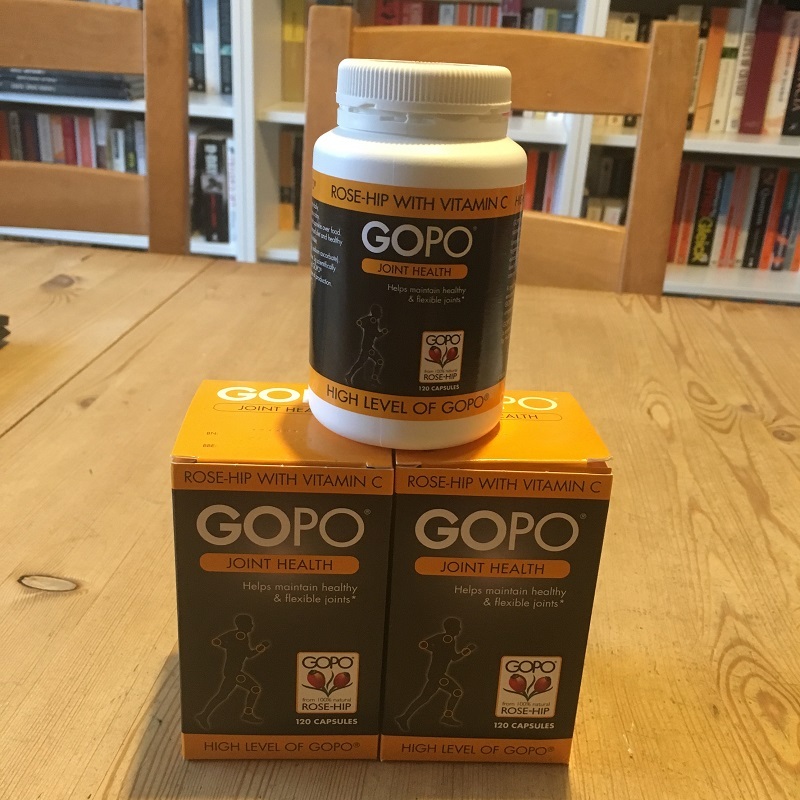 In vitro studies have demonstrated GOPO® has anti-inflammatory properties which have a protective effect on cartilage, potentially even helping cartilage and joint tissues to rebuild and regenerate. Physical activity helps synovial fluid to circulate in the joint, increases blood flow – which in turn increases oxygen and nutrient flow to the joint – and strengthens the muscles supporting the joint. It is important not to overdo exercise or cause injury, but even gentle activities such as walking and swimming are beneficial. Traumatic injury (ligament or meniscal tears) to the knee or hip, increases your risk for developing Osteoarthritis in these joints. Effective rehabilitation is very important – always consult a professional if you suspect an injury and follow their advice. Being overweight places additional strain on the joints – every pound of excess weight places an additional 4 pounds of extra strain on the knees. However, it’s not just this mechanical loading and wear and tear of joints that is of concern. More recently research has suggested inflammatory processes involved with fat tissues may also affect joints. ‘’People often don’t associate joint issues with lifestyle choices and a poor diet but both these play a major role. There are a number of structures in the joint – including bone, cartilage, ligaments, tendons and collagen, which need a good source of nutrients to keep healthy and in good condition. Key nutrients for joint health include vitamin D, Vitamin C and calcium. So, I received a three month supply of GOPO to try out over the worst of the winter season. The recommended dose is 3 capsules twice daily for the first 3 weeks and then 2 capsules twce daily afterwards. Now I’m going to confess here – I am a complete no-hoper when it comes to remembering to take tablets. Even my prescription medication doesn’t always get taken on time, and I have never yet managed to set up and maintain a regular vitamin/supplement habit. So I have done my best with sticking to the recommended doses, but that doesn’t mean that I have taken exactly that. And for a while over the Christmas holidays when I was at my desk less frequently, I slipped out of the habit for a couple of weeks, and had to start again. However, I can honestly say, that even with my reduced dose, the niggling aches in my hip have certainly lessened, and what is more, I say with certainty that the GOPO caused the pain to reduce, because over the couple of weeks that I stopped taking GOPO, the pain came back to bite me big time. I’m doing yoga at the moment to help me with strength and joint mobility, and I think that taking these supplements has helped me with my practice – I seem to be able to do a little bit more with a bit less pain each week. I’m back on the capsules again now, pain reduced to a dull ache again, and I’m fairly certain that when my 3-month supply runs out I’ll be going to Boots for some more. This makes me really happy, because I remember watching my mum as her hips deteriorated, as she took more and more paracetamol, followed by stronger painkillers, steroid injections and eventually the big nasty operations. I really want to delay that version of my future for as long as possible. My husband decided that he would try to treat his pain with increased physical activity and dietary changes, and decided not to take the supplements for the moment, but I guess when he sees the changes in me he may yet change his mind. And if he doesn’t, that’s all the more for me! I need to do a bit more of the other recommendations above too, but I’m hoping that with these supplements and a few gentle lifestyle changes, I will be able to slow down my joint deterioration, and save myself from a whole lot of severe pain.